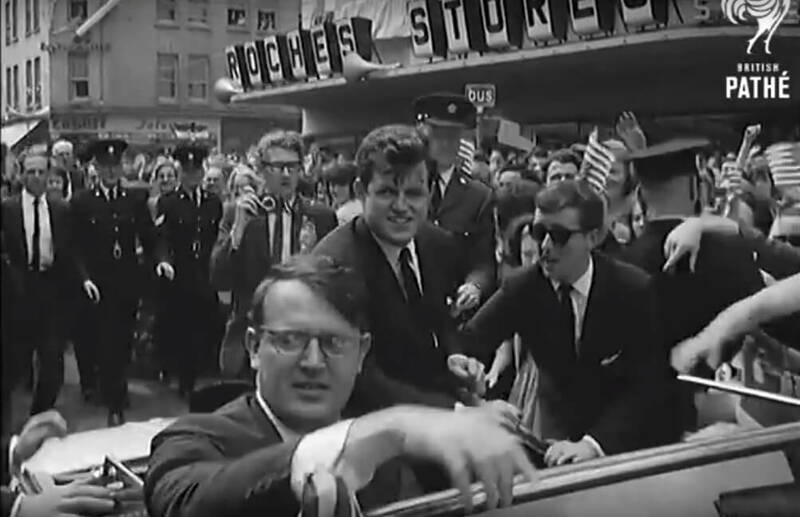 On the 30 May 1964 Senator Ted Kennedy the brother of John Fitzgerald Kennedy visited Limerick on the invitation of Mayor Frances Condell. This was a year after the visit of JFK to the city and months after tragedy struck the Kennedy family in November 22, 1963 with the assassinated of JFK in Dallas, Texas. The Limerick Leader gives a full page report of his visit. Edward “Ted” Kennedy (1932-2009), the youngest brother of President John Kennedy (1917-1963), was a U.S. senator from Massachusetts from 1962 to 2009, making him one of the longest-serving senators in American history.